Obviously we’re a little biased on this one, but we don’t think that’s a bad thing. 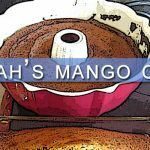 Obadiah’s has been in the cookstove business for decades, and not just selling them: Providing feedback to manufacturers, helping customers troubleshoot issues, and even using them ourselves. 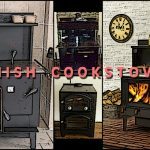 Simply put, Obadiah’s knows cookstoves, and that’s why we decided to share some ideas for a new stove with the fine folks over at Heco, the end result of which is a new traditional cookstove. 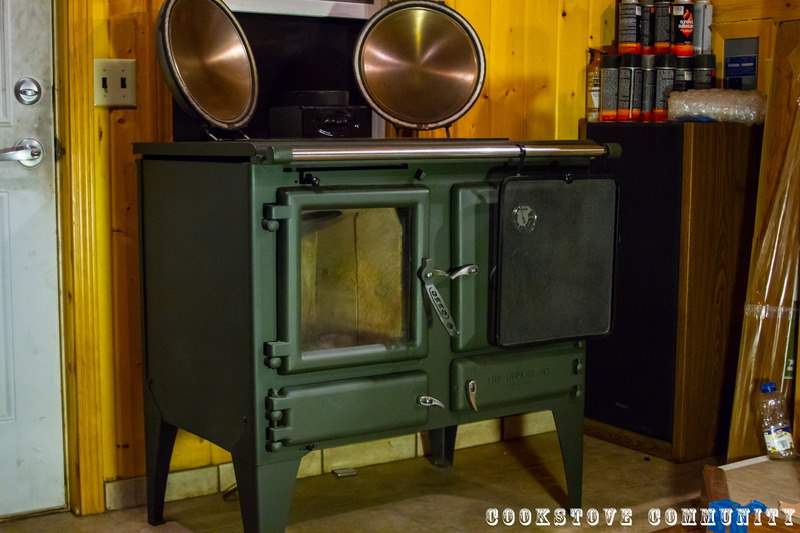 Heco is owned and operated by members of the Amish community, and their long history of quality production is evident in the craftsmanship of the 2000 Wood Cookstove. 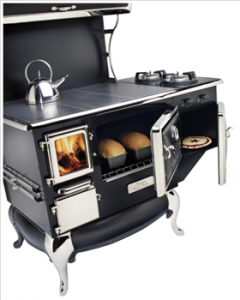 This cooker is built like a tank from American steel, with an eye towards functionality above all else. 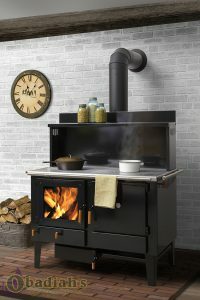 The firebox is capable of 16 hour burn times and 100,000 BTUs, the porcelain oven is large enough to handle just about anything you can think to throw at it, and the cooktop is wonderfully spacious. 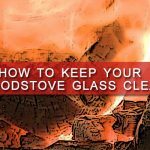 It’s also refreshingly easy to maintain with its front-facing cleanout and three separate damper controls, features not common in most traditional cookstoves. You also have the option of glass doors, a water reservoir, and a water coil for domestic hot water heating. Obadiah’s worked hard with Heco to deliver a cookstove that is both affordable and capable of expanding to a variety of needs, and we’re very pleased with the result. 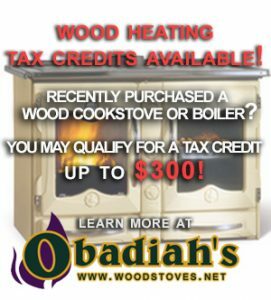 Purchase Obadiah’s 2000 Wood Cookstove here. J.A. Roby offers a variety of traditional cookstoves of top-notch quality, but one of our favorites is the Cuisiniere SE. 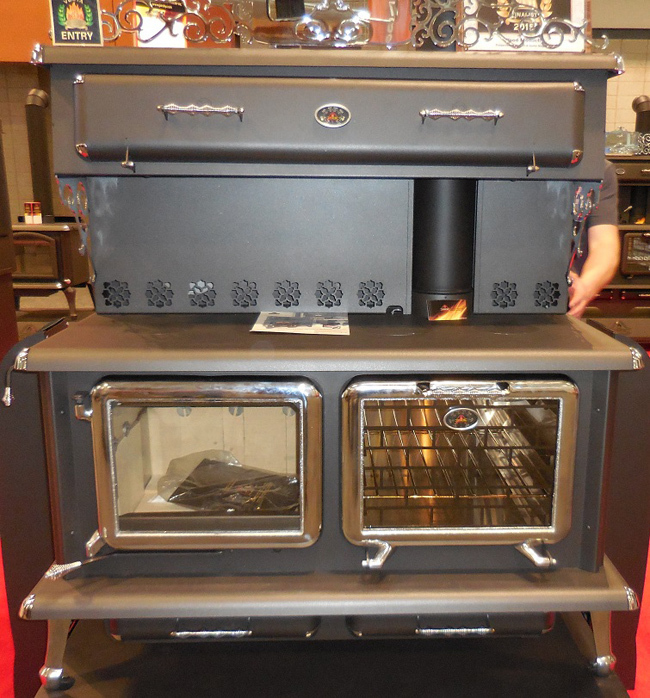 The Cuisiniere’s large profile offers both a spacious firebox and oven, as well as a warming oven, meeting any cooking needs you might have in addition to being able to heat a sizeable space (2,300 square feet!). 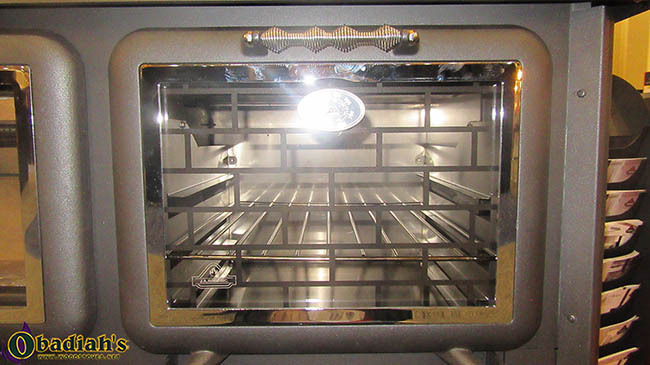 When the Cuisiniere was first released the oven suffered from serious design flaws, but after a re-design it has gone above and beyond expectations by offering temperatures up to 550 degrees. 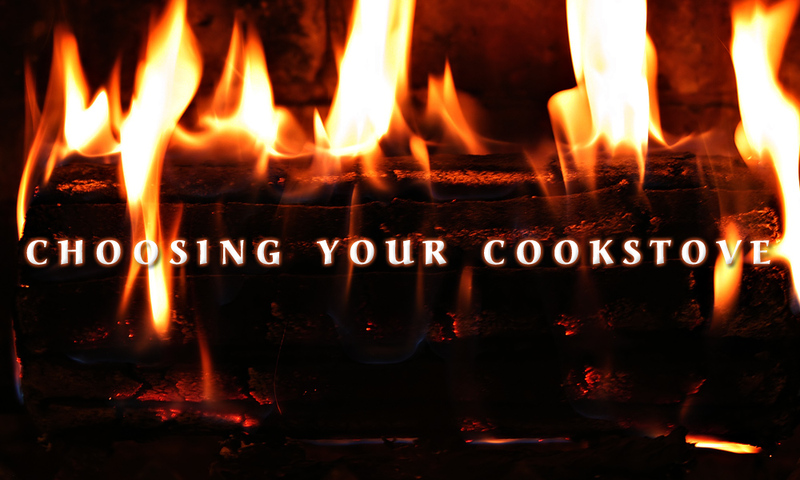 For a cookstove, that’s some serious cooking heat! 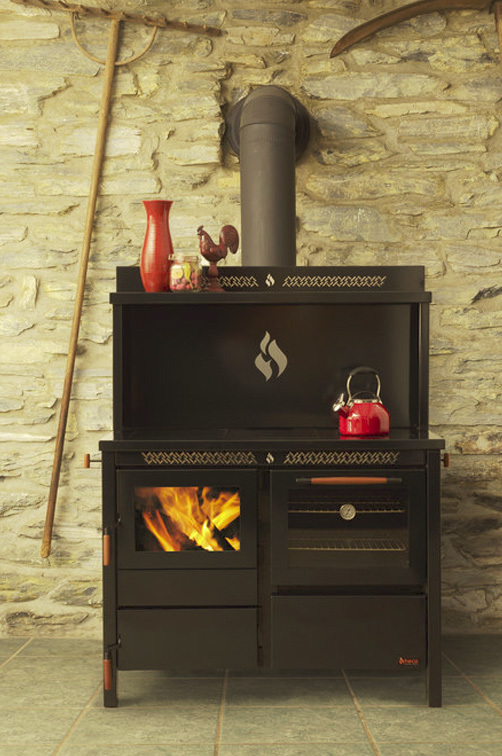 The Cuisiniere SE is one of the most beautiful traditional cookstoves on the market, too. With its chrome accents and sleek finish, it has an aesthetic that says old-world and elegant all at once. This particular model features legs instead of a pedestal, as well as the option of chrome doors and a porcelain cooktop (for easier clean-up of those unavoidable spills). To top it all off, the Cuisiniere SE has an 88% efficiency rating, which passes even the most stringent emissions regulations in the U.S. and ensures you can make it a part of your home, no matter where you live. 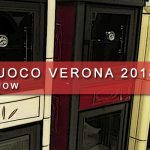 There’s a reason Heco appears twice on our list of best traditional cookstoves, and the 520 Wood & Coal Cookstove demonstrates why. 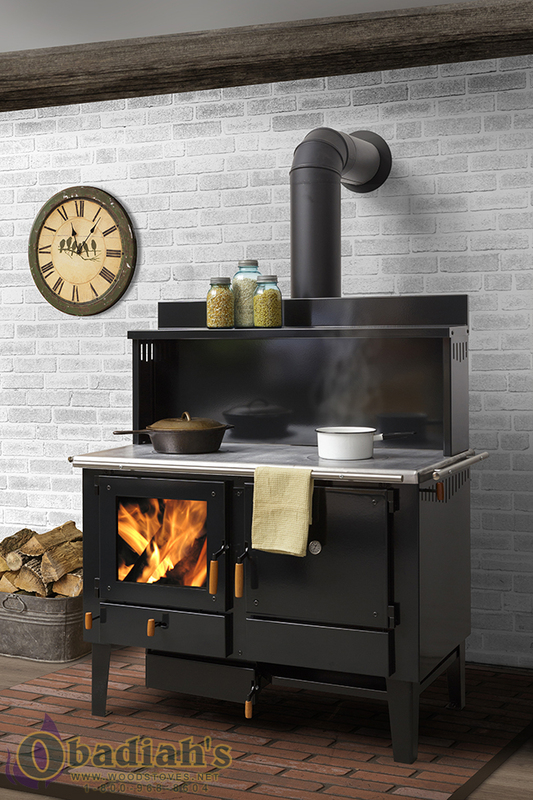 That’s right: The Heco 520 is not simply a wood-fired cookstove, it is also able to take advantage of coal, allowing it to make use of whichever heat source is easiest for you. The Heco 520 has more to offer than dual heat sources, however. Capable of up to 13 hour burn times and a heating range of 2,500 square feet, the 520 is perfect for anyone looking to warm their home up as much as cook in it. 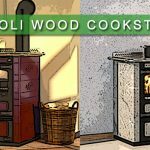 It’s also every bit as easy to use as the 2000 Wood Cookstove, offering the same triple damper controls and easy front-facing cleaning, as well as a porcelain-lined oven that is fully removable. The Heco 520’s looks are simple, like many traditional cookstoves, but it’s also sharp and understated. Not everyone is a fan of a bold-looking stove, and the Heco 520 wonderfully compliments any room that it is installed in. 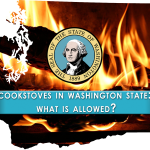 As a bonus, the Heco 520 has an optional water coil for domestic hot water heating, and is both EPA-exempt and Washington state approved. It’s an efficient, dynamic cookstove and we fully recommend it. 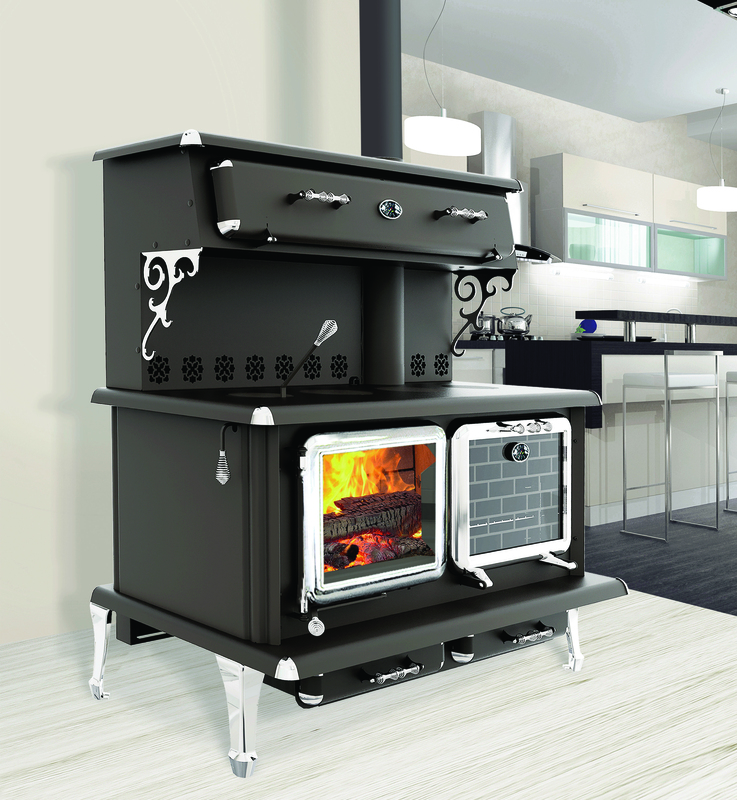 The Elmira Fireview may be the finest example of a traditional cookstove when it comes to looks. This cooker is sleek with legs, skirt, and a trivet all made of nickel that really punch up the class by giving the face a reflective accent. This is an authentic 19th century pattern, and the stove simply fills the air with nostalgia (not to mention dancing flames thanks to the glass firebox door). Thankfully, the Fireview is more than looks. The 3 cu. ft. oven is massive, big enough to hold a Thanksgiving turkey and perfect for anyone looking to cook large meals in general. 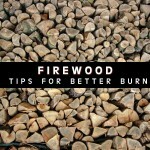 The Fireview really stakes a claim in the cookstoves-for-cooks department, however, with its optional gas side burners. 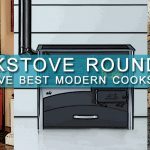 With an 11,000 BTU output, these burners really expand the capacity and flexibility of the stove, and there are few other cookstoves on the market in North America that can match it. 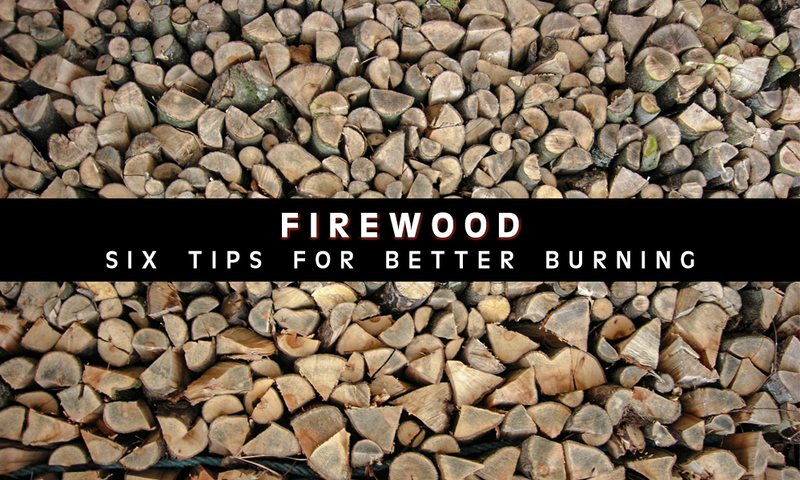 The firebox is also a treat, being able to take logs up to 18″ with a top-loading feature that offers convenience when front-loading proves difficult. You also have the option of a water jacket for household water heating, yet another feature that increases the practicality of the Fireview and solidifies Elmira’s place as a producer of outstanding wood cookstoves. The Esse Ironheart is one of the best known cookstoves, and for good reason: It’s a workhorse, pure and simple. Many of Esse’s earliest cookstoves are still in use today, which is quite a feat given that the company began in 1854. 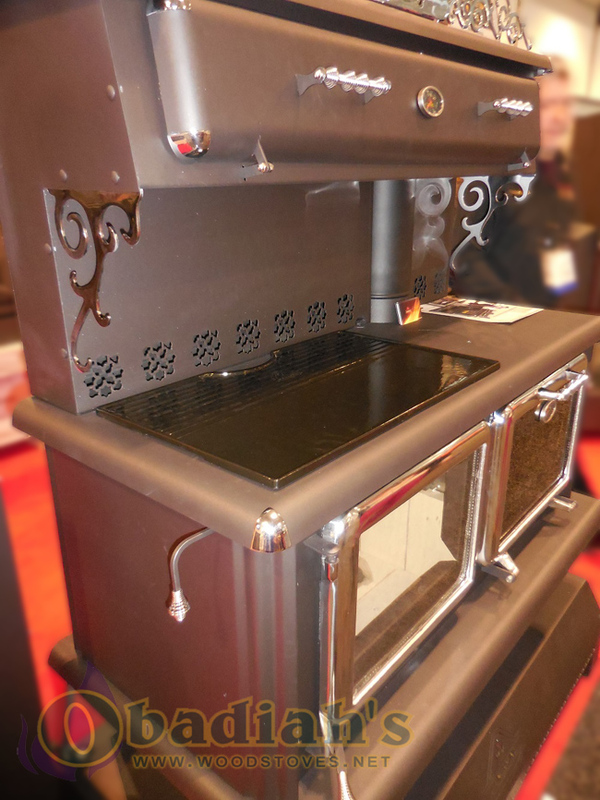 The Ironheart lives up to that traditional cookstove model, and then some. 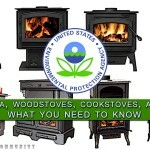 To be sure, the Esse Ironheart has by far the simplest looks of any cookstove on this list. Simple is not always a bad thing, though, and there’s an gracefulness to the Ironheart’s graphite-finish cooktop and satin-steel hotplate covers. 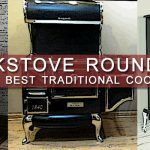 Combined with glass doors on both the firebox and oven, and you have a cookstove whose looks will both please and stand the test of time. The most striking feature of the Ironheart are the aformentioned hotplates, with a dogbone design capable of accommodating up to half a dozen pans at once. That, plus one of the most spacious ovens on the market, make the Ironheart especially enticing for any aspiring chef. The Esse Ironheart carries a heftier pricetag than many cookstoves, but with good reason. 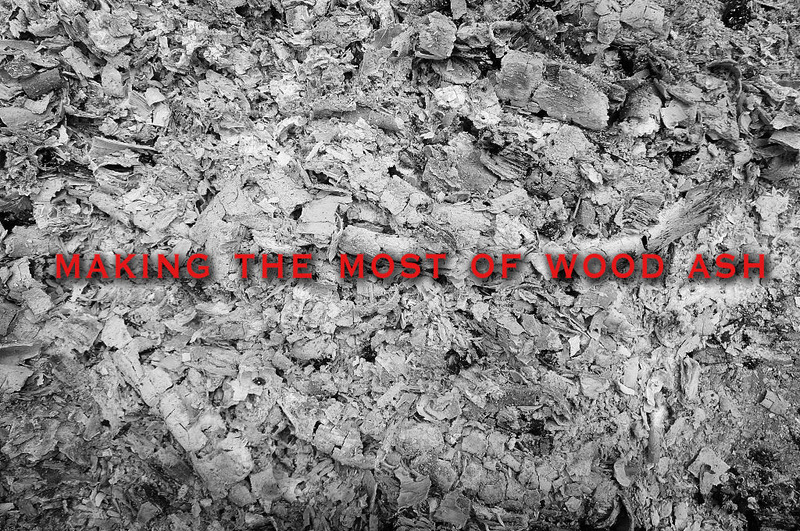 You’re not just investing in a cookstove, you’re investing in a quality piece of craftsmanship that will almost certainly outlive you.